Hesitant About Replacing Your Commercial AC System? Running a business of any kind involves making numerous decisions both large and small on a daily basis. 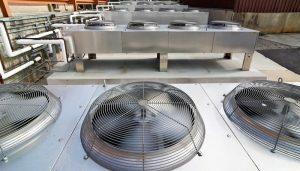 Making a choice to upgrade or replace a large part of a facility’s air conditioning system definitely falls in the “large” category: most commercial facilities need cooling of some type in order for them to operate. Cooling can be necessary to protect equipment (such as in vital server room cooling), facilitate process, and provide comfort to employees, clients, tenants, etc. Failure of the air conditioning equipment or ineffective/inefficient performance will have a major negative impact on running your business. Of course, taking the step to make major changes to older, out-of-date cooling equipment can be expensive, and you may be reluctant to make the change immediately. 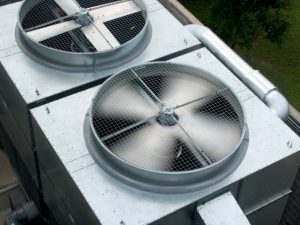 If you are on the fence about a new commercial air conditioning installation in Toronto, ON, the best step to take is to work with our commercial HVAC professionals. We have more than 30 years of experience assisting local businesses, both commercial and industrial, with proper heating and cooling. From server room cooling to industrial chillers, we can handle all cooling requirements and give you the information you need to make the right choices about your air conditioning equipment. Posted in Commercial Air Conditioning | Comments Off on Hesitant About Replacing Your Commercial AC System?